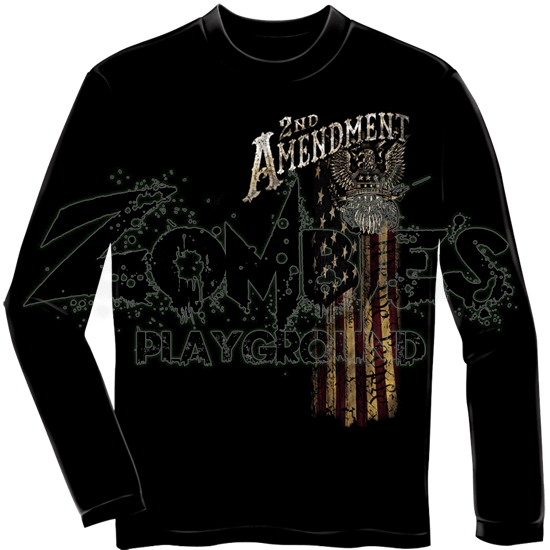 With its vintage style graphics and outstanding, metallic foil details, wear the Second Amendment Eagle Silver Foil Long Sleeve Shirt to stylishly show off your pride as an American and your constitutional right to bear arms. 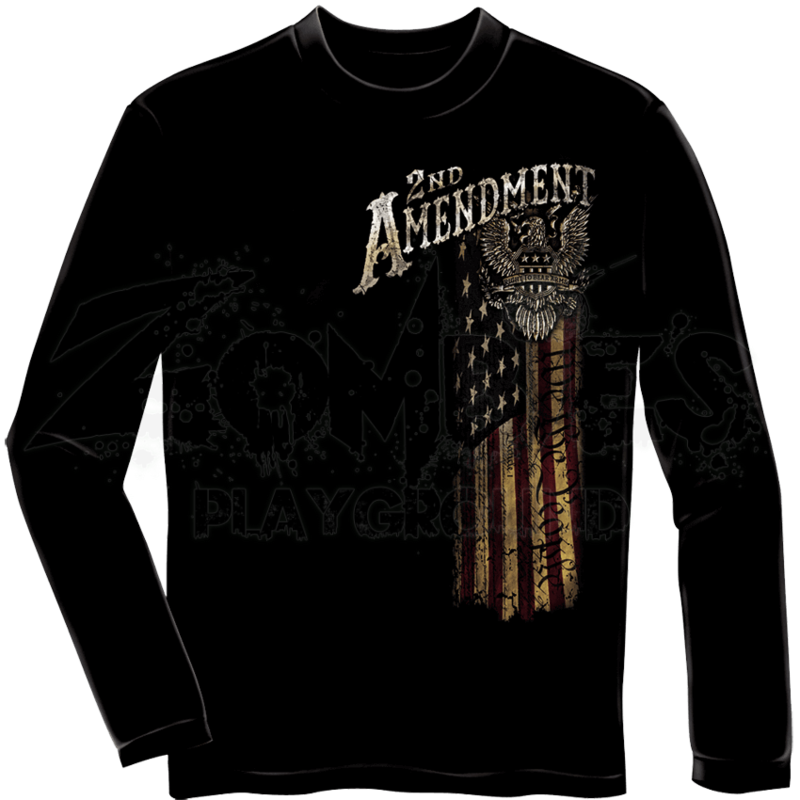 This black long sleeve shirt displays a large, artistic graphic on its back featuring an eagle and gun crest along with ornate lettering that reads 2ND AMENDMENT. The smaller American flag graphic on the front borrows elements from this image, creating a cohesive look. Made of high quality pre-shrunk cotton, this comfortable shirt is great for everyday wear, especially in chillier climes. Wear it yourself as a personal display of your rights, or give it as a thoughtful gift to a loved one.